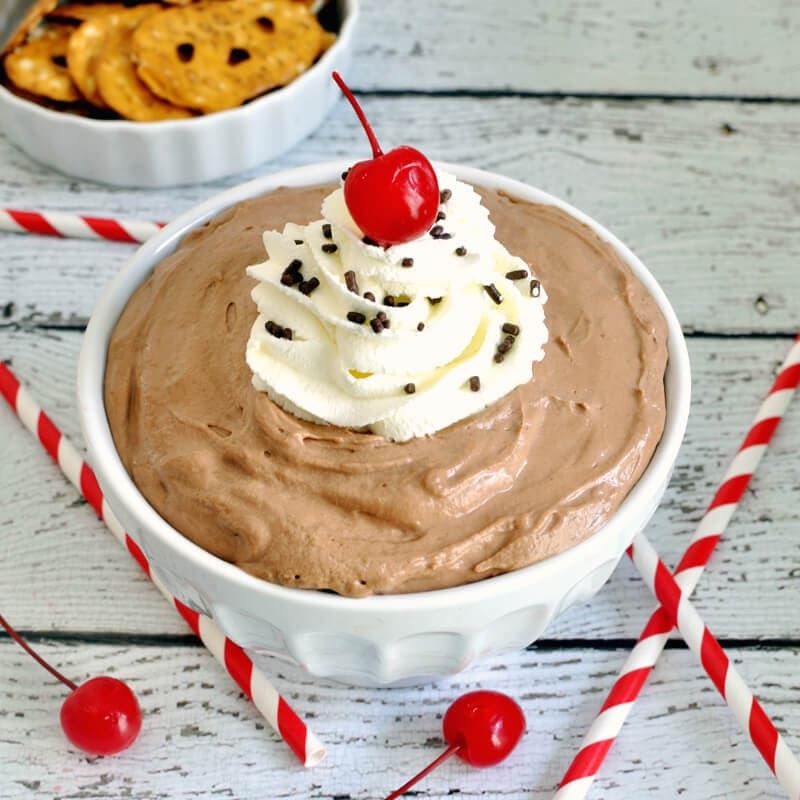 I posted a malted milk dip recipe for Easter and now that it is hot out, I thought I would do a slight twist on the recipe to create a chocolate malt dip. During the summer, chocolate malts are one of my favorite treats. Can we say Sonic? I love their malts! Oh, and they are half price after 8 PM right now. Even better! 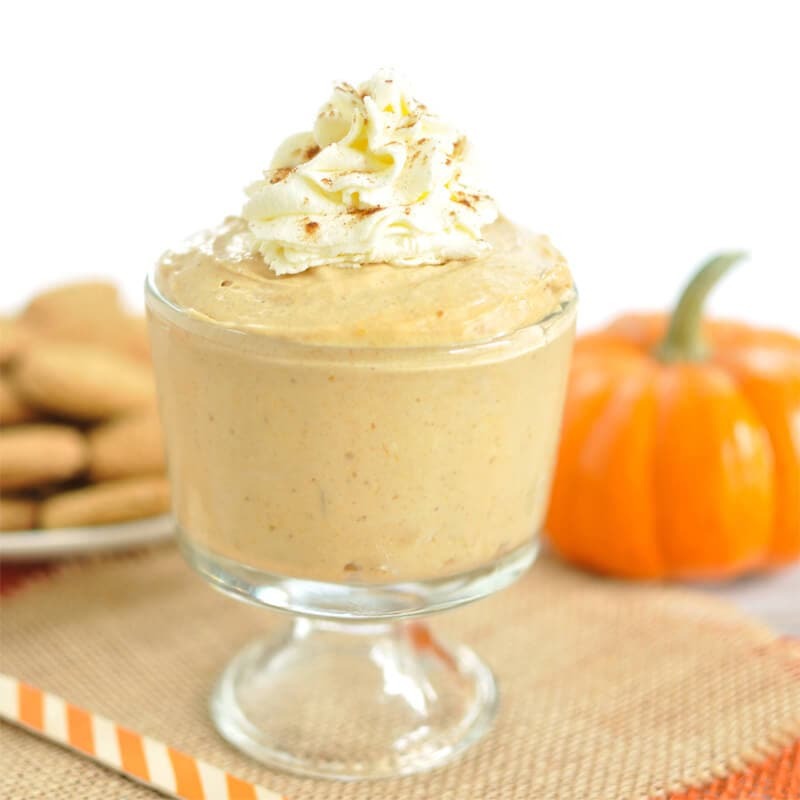 Serve with pretzels, fruit, graham crackers, wafers, or cookies. 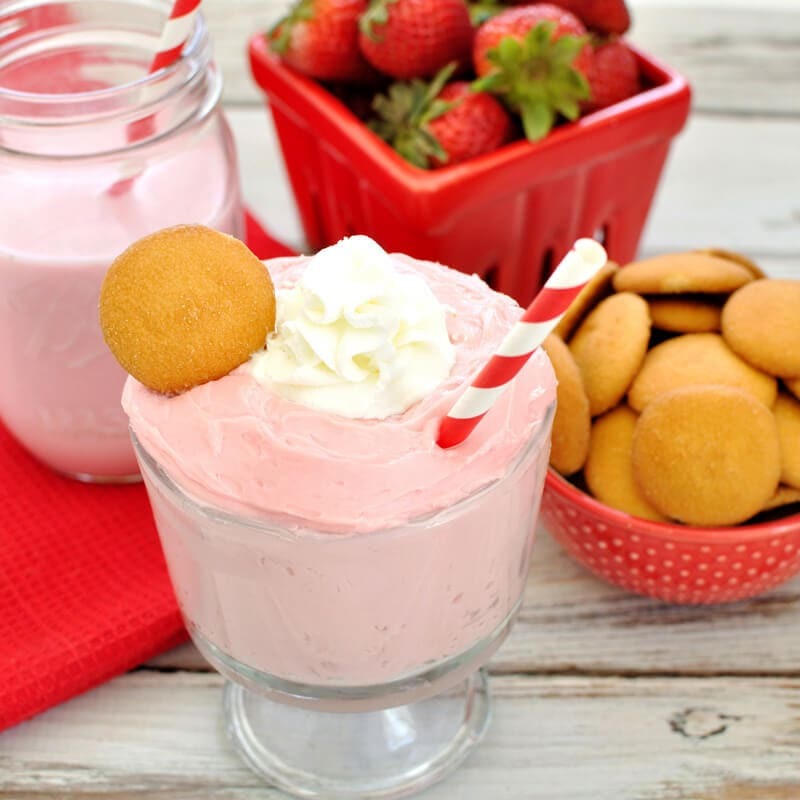 This will be a great dessert dip for your next summer cookout. 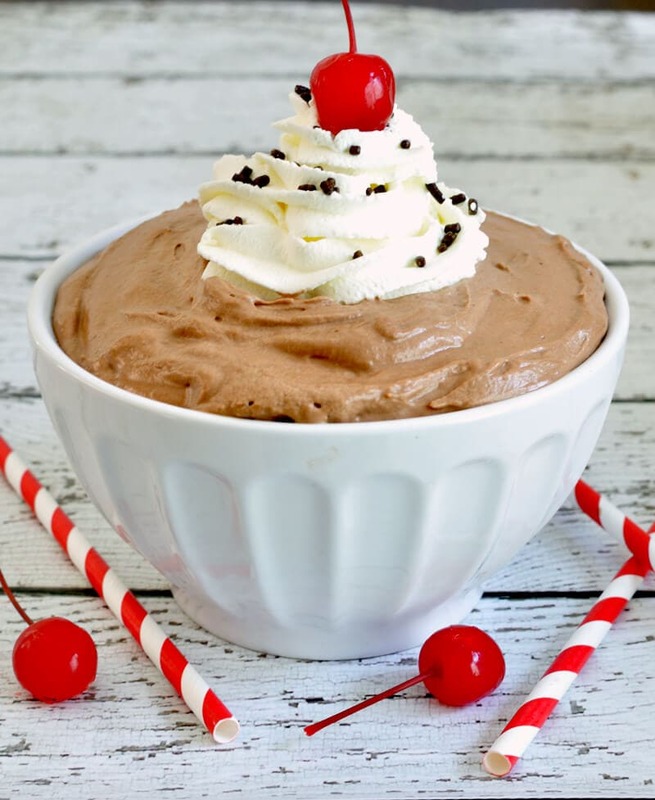 If you are not a malt fan (it isn’t for everybody), you could leave the malted milk powder out of the recipe and you’ll end up with a nice, creamy chocolate dip instead. 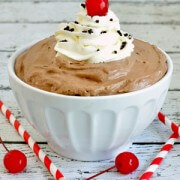 Chocolate malt dip has all the great flavor of a malted milkshake in an easy to make dip recipe. Great dessert for your summer cookout. Place cream cheese and powdered sugar into a bowl and beat with a mixer until creamy. Add vanilla extract, milk, malted milk powder, and cocoa powder and mix until combined. Fold whipped cream into cream cheese mixture. Chill for at least an hour before serving. Optional: Top with additional whipped cream, chocolate sprinkles, and a cherry when you are ready to serve. 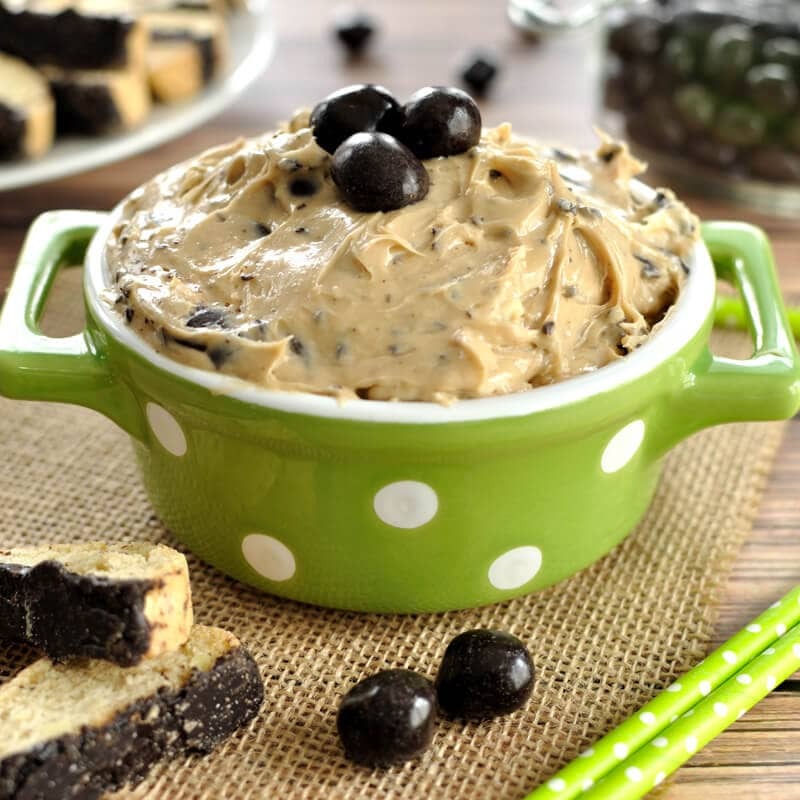 Serve this Chocolate malt dip with fruit, cookies, pretzels, or graham crackers. 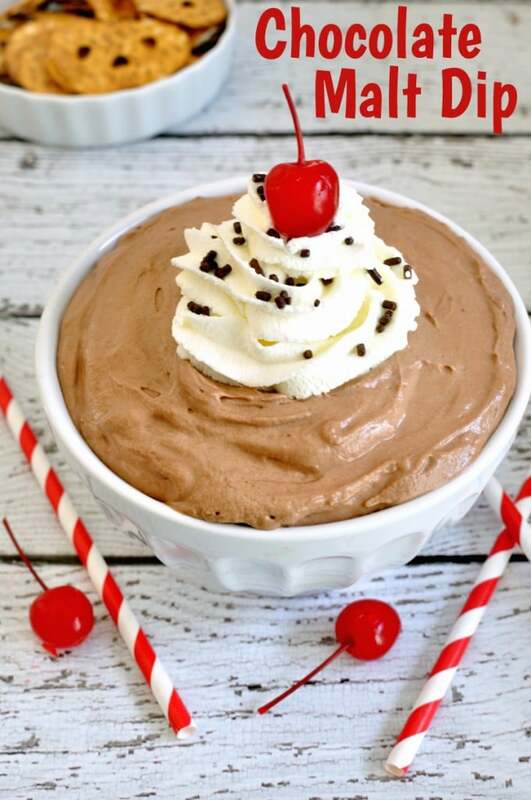 Chocolate malt dip sounds delicious! My daughter is always asking to make a chocolate dip. That is her most favorite dip ever! I need to get some malted milk powder.